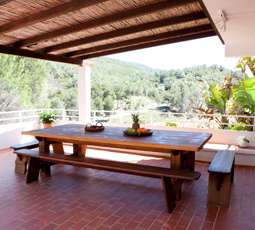 Villa Roca is a hacienda of Bauhaus design, built by the late Ibizencan architect Erwin Bronner, whose own house is now a museum in Ibiza Town. 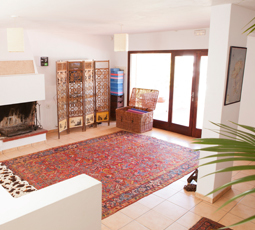 The villa features terracotta floors, tiered balconies, and open fireplaces. 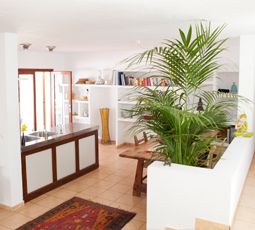 It has a large living room area, and a spacious outside open plan terrace, where guests dine, relax and socialise. 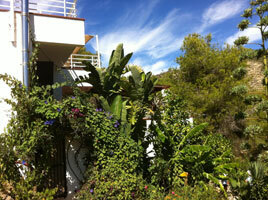 Situated 30 metres above sea level and a 3 minute 180-meter walk to the beach, along a private path. 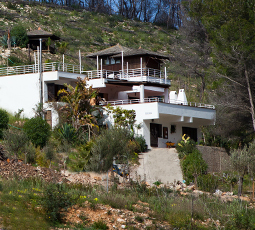 Villa Roca sits in 20 acres of land which is filled with wildflowers, pear, olive, apple, orange, and banana trees. 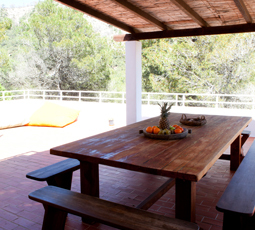 To cap it all, it is nestled amongst a beautiful pine forest. 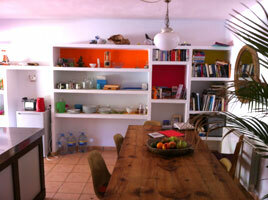 On clear days, it has almost uninterrupted sunshine from early morning to afternoon. 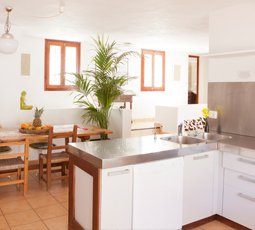 With five large bedrooms, two of which have balconies, and one with its own door leading to the garden. 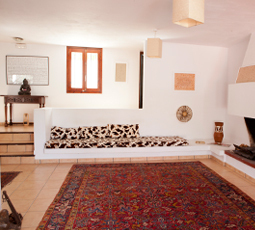 For an unforgettable experience, book your holiday with Ibiza Yoga, where you will start your holiday saying hello to strangers, and leave saying goodbye to friends. 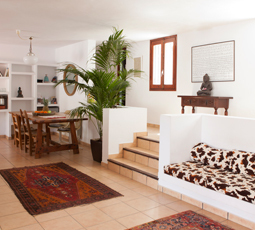 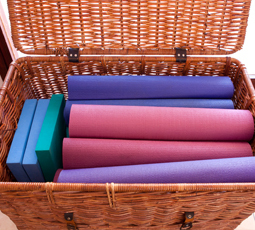 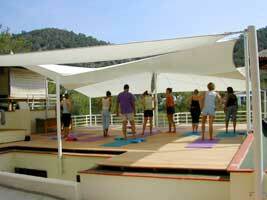 You will not find a better located, affordable yoga retreat on the whole of Ibiza.